Got another update for you. 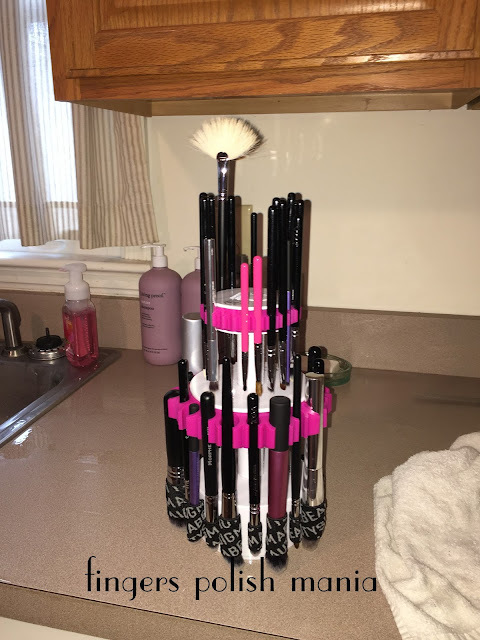 Remember how I mentioned the Sigma Dry n Shape Tower thing? I finally used it for its full purpose. I got out all my dirty brushes and got ready to go to town. Here is what it looks like empty. I got the middle sized one. I certainly didn't need the huge one they sell. The one issue I had was getting the elastic stretched out enough to shove the brush into it. Once I got them all washed and put in the tower, I left it to dry over night. The next day when I removed the brushes? They were perfectly dried and shaped back to their original just bought new shape. I was totally amazed and am impressed big time. Sometimes, I have a hard time getting the shape back without random hairs sticking out. Nope, not with this. Oh and I bought this on my own. These are my true thoughts! Here it is all filled up with wet brushes. See at the bottom, how the bigger brush heads go into the elastic for shaping. I love it! 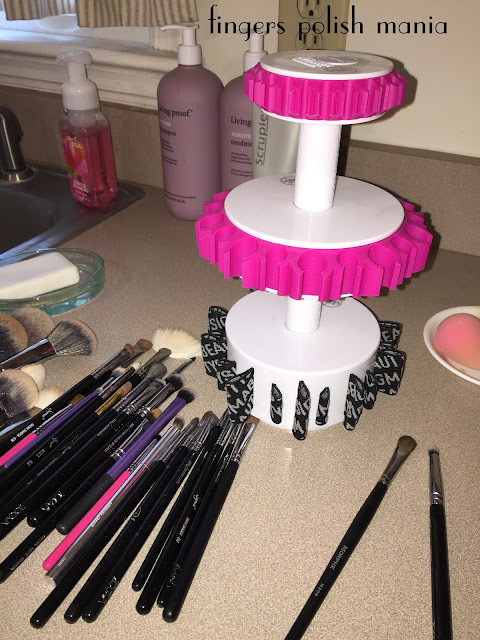 Now I have Zoeva, Sigma, Morphe, IT and Real Techniques brushes in this. It's not just for the Sigma brand. Let's take a look at my eye looks. First up is my Appletini tart. 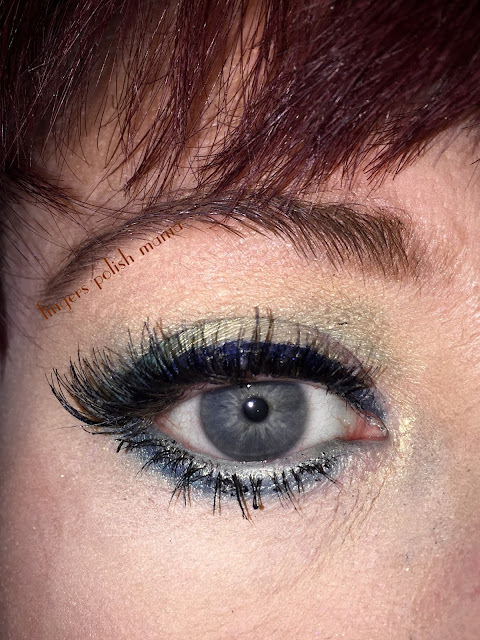 This is Makeup Geek Appletini, Typhoon and Colour Pop DTLA liner with my Ardell Demi Wispies. Next one is a similar color scheme, but cooler. 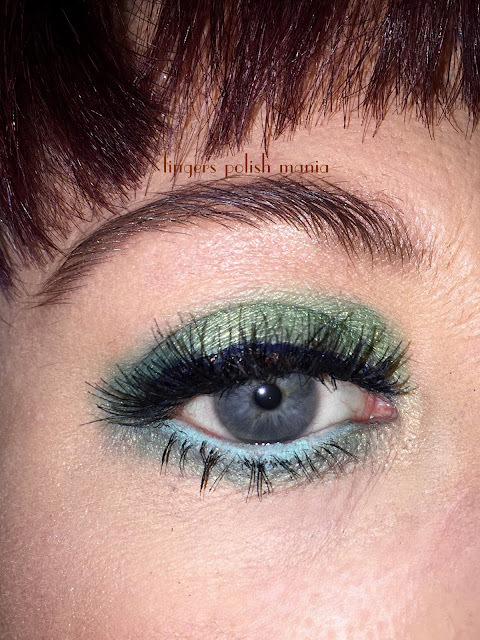 This is Makeup Geek Shimmermint, Secret Garden with Colour Pop liners in DTLA and Prance. I particularly love this one!